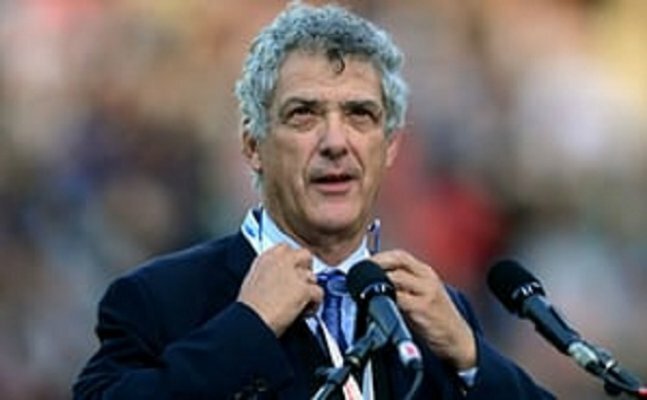 Suspended Spanish football federation boss Angel Maria Villar has resigned as vice-president and an executive committee member of UEFA , European soccer's governing body said on Thursday. Suspended Spanish football federation boss Angel Maria Villar has resigned as vice-president and an executive committee member of UEFA , European soccer's governing body said on Thursday. Villar, his son Gorka and two other football federation executives were detained on July 18 on allegations of collusion, embezzlement and falsifying documents. Villar has denied all the allegations. "Angel Maria Villar (has) tendered his resignation as Vice President of UEFA and member of the UEFA Executive Committee with immediate effect," said UEFA in a statement sent to Reuters. "Following his resignation, Villar will no longer have any official functions at our organisation. "UEFA said its president, Aleksander Ceferin , had accepted Villar's resignation and had thanked him for his many years of service to European football. "In view of the ongoing court proceedings in Spain, we have no further comments to make on this matter," it said.Villar, a former Athletic Bilbao and Spain midfielder, had headed the Spanish federation for 29 years. It has named Juan Luis Larrea as its interim president.